The story of Mary Elizabeth Greenwall Edie’s knitted-lace sampler book is included in the May/June 2016 issue of PieceWork. Frances H. Rautenbach re-created several of Mary Elizabeth’s samples for the May/June 2017 issue. 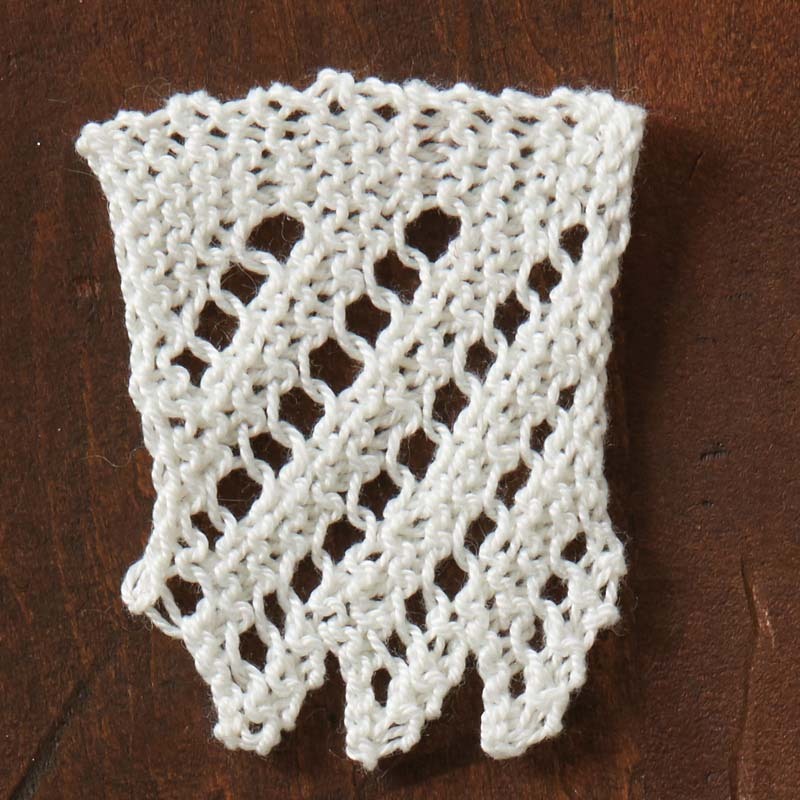 Each Monday for the month of May, PieceWork celebrates the enduring splendor of lace by sharing one of Frances’s re-creations from Mary Elizabeth knitted-lace sampler book, which she made in 1935. 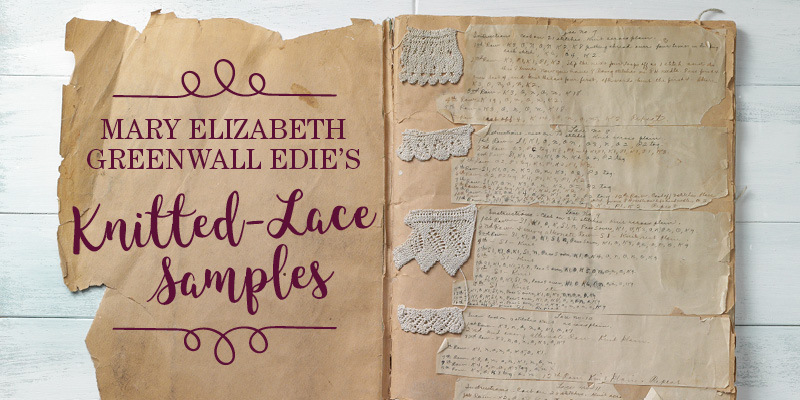 Frances translated the original pattern for the “Lace” sample, wrote her instructions with contemporary notations, and retained the name that Mary Elizabeth used. Frances used Nazli Gelin Garden, 100% cotton thread, size 10, in #700-02 Cream (www.universalyarn.com) and size 1 (2.25 mm) needles to make the sample. 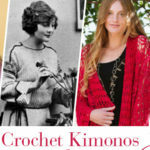 If you knit a sample, please share it with us at piecework@interweave.com. We’d love to see it! The stitch count varies from row to row. CO 14 sts. K across. Row 1: K4, [yo, k2tog, k2] 2 times, yo, k2—15 sts. Row 3: K5, [yo, k2tog, k2] 2 times, yo, k2—16 sts. Row 5: K6, [yo, k2tog, k2] 3 times, yo, k2—17 sts. Row 7: K7, [yo, k2tog, k2] 2 times, yo, k2—18 sts. Row 8: BO 4 sts, k to end—14 sts rem. Row 8 in the original has a misleading word order: I changed “Row 8 plain. BO 4” to read “BO 4 sts” at the start before knitting across. Learn more about the rich history of lace in PieceWork!